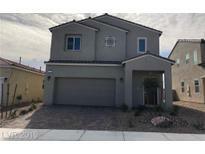 Below you can view all the homes for sale in the Sedona subdivision located in North Las Vegas Nevada. Listings in Sedona are updated daily from data we receive from the Las Vegas multiple listing service. To learn more about any of these homes or to receive custom notifications when a new property is listed for sale in Sedona, give us a call at 702-323-5963. Pavers at entry way and driveway. Washer/Dryer and Refrigerator included! ! MLS#2082155. New Home Resource. Call the sales office today to check the current options and upgrades! MLS#2062721. Real Estate Consultants of Nv. Call the sales office today to check the current options and upgrades! 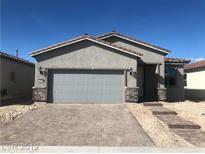 MLS#2062718. Real Estate Consultants of Nv. Available for a March move-in, this home features a main level bedroom with full bath, premium Mocha cabinets, Venetian Gold granite countertops throughout, all appliances (refrigerator and washer/dryer) and beautiful upgraded flooring throughout! MLS#2060140. Realty ONE Group, Inc.
Courtyard with gate, covered patio, Two-tone paint throughout, Pavers in driveway and courtyard. Washer/Dryer and refrigerator included. MLS#2056307. New Home Resource.